You've heard it a thousand times; muscles weights more than fat. It's the go-to thing to say to someone when they've been working really hard, but the scale hasn't moved. So let's look at this a bit more realistically. 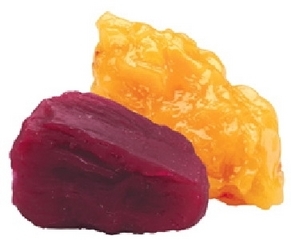 One pound of fat weights exactly the same as one pound of muscle. Whoa, did I blow your mind? The real difference is the volume. 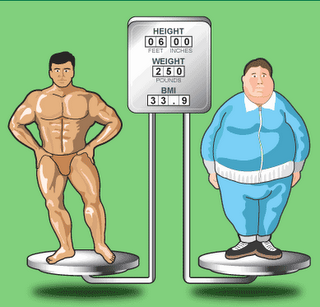 One pound of muscle is visibly SMALLER than the same weight in fat. Not to mention, it's smoother and more compact compared to the jiggling mass of fat. Which would you prefer hanging off your rear end? Muscle works harder FOR you than fat does. One pound of muscle will burn 50 calories a day, versus fat which only burns 4 calories a day. So the more fat you have, the more YOU have to work to burn calories. So why bring all these super interesting facts to my blog? Well for one thing - the scale doesn't measure ANYTHING! You're biggest indicator of health is how your clothes fit and changes in your strength. Also, this is the weekend of chocolate. 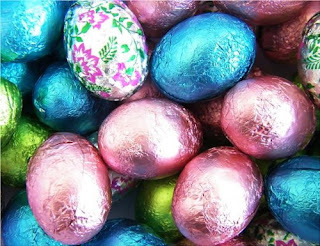 You can't step into a store without being assaulted by chocolate bunnies and eggs and sugar coated, chocolate dipped, rot your teeth out candy. So when you reach for your second chocolate egg, just remember: that's a one pound bag of eggs, where would you like those eggs to sit? Your hips or your bum? ok, THANK YOU for this post! I've ALWAYS hated that phrase "muscle weighs more than fat" it has NEVER made sense to me, a lb is a lb!!! Life isn't about about waiting for the storm to pass... it's about learning to dance in the rain!